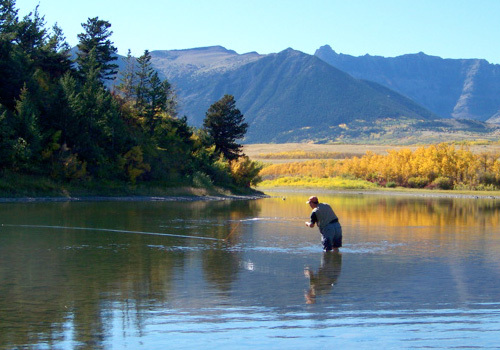 Your Alberta Fly Fishing Destination! Alberta Flyfishing guides you through scenic Southern Alberta's Rocky mountain trout streams, perfect for the dry fly fisherman. 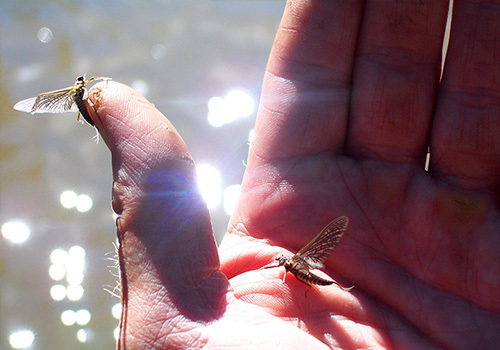 Our area is home to vast and diverse trout fly fishing. Whether stalking our native Cutthroats or Bulls or casting to rising Rainbows and Browns we offer an exceptional day on the water. 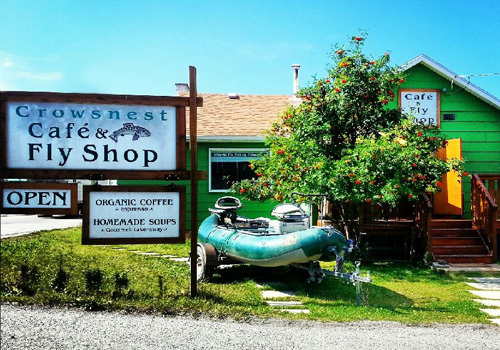 Guided Fly Fishing trips, quality fly fishing gear and a unique eclectic breakfast and lunch menu with outstanding homemade soups, baked goods and espresso coffee’s Crowsnest Café and Flyshop is your one stop destination. Catering to the most finicky Trout, Fishermen, and Palates we are conveniently located on Highway #3 in Coleman, Crowsnest Pass Alberta. Easily accessible from Kalispell and Calgary; minutes from the Crowsnest River we are nestled in the Southern Alberta Rocky Mountains. Surrounded by the majestic headwaters of the Oldman, Livingstone, Castle, and Crowsnest Rivers. The Waterton River flowing from Waterton Glacier National Park is just to the south and the Elk River nearby just west into B.C. So whether you're hungry for the river, or an excellent espresso coffee we are your one stop. ©2015-2018 Crowsnest Café & Fly Shop. All rights reserved.